A little more than a thousand years ago, when the first people arrived in these islands from Southern Polynesia, they were met with an incredible diversity of bird species. From stilt owls, to crows, harriers, hawks, rails, large flightless ducks, and several species of geese, the diversity of birds across Hawai’i would have truly amazed anyone. The sub-fossil skeletal remains of at least 109 terrestrial bird species, and at least two dozen seabird species, have been found across the archipelago, a silent testament to that diversity. Only 16 of those terrestrial bird species remain today, while the seabirds, which perhaps once numbered in the millions, barely cling to life on the high islands of Hawai’i. Predation by rats, as well as dogs, mongoose, cats and several bird species, as well as diseases and habitat modification have taken a heavy toll on both the diversity of species, and the numbers of individual birds that once thrived here. Birds play a critical role in the nutrient cycle of geologically young islands like Hawai’i, and their reduction and disappearance has, and will have, impacts on these islands in ways that may not be apparent for generations to come. Fortunately, many bird species respond well to simple changes in the quality of their habitat. A case in point is HILT’s 2-acre Hawea Point conservation easement near Kapalua. 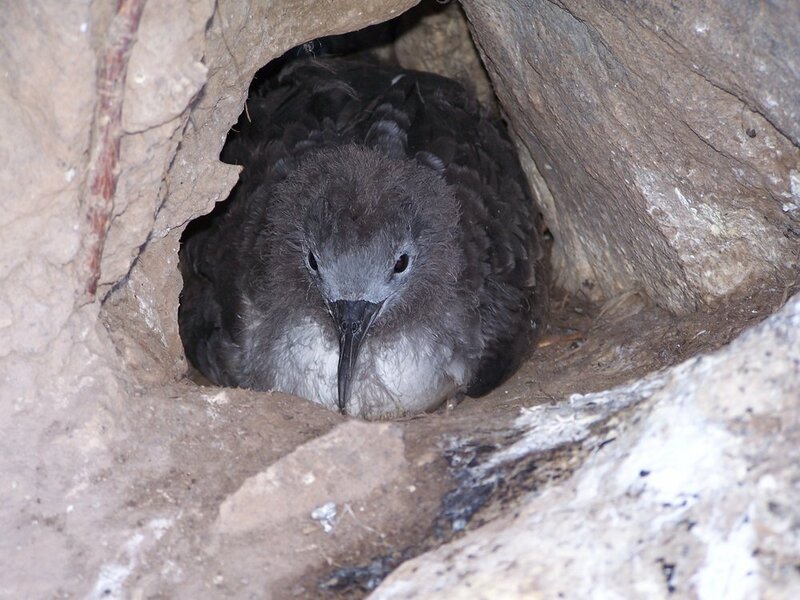 Around 2001 a local fisherman, Isao Nakagawa, noticed a pair of ‘Ua’u kani (Wedge-tailed shearwater), a seabird with a preference for lower elevations around one of his favorite fishing spots. Further investigation revealed 2 breeding pair (4 individuals). Isao simply took an interest, asking people to leash their dogs, ensuring that hikers avoided crushing their burrows, and doing what he could to improve their habitat. Sadly, Isao passed away late in 2016, but his dedication and determination to restore these vital seabirds to Maui has resulted in over a thousand ‘Ua’u kani thriving at Hawea Point. I was fortunate to have spent time with Isao, and to see how intimately he understood these birds. On one banding expedition, Isao called out to these birds in their distinctive ‘crying baby’ wail, and within minutes he was surrounded by four birds. It was enlightening, to say the least. If you have ever doubted what one lone individual can do, I invite you to sit quietly around dusk at Hawea Point and watch the birds swirl around your head. To those who love seabirds, and are committed to seeing the restoration of the ecological health of our island home, watching this evening ritual that has taken place on this island for thousands, and more likely hundreds of thousands of years, is a sublime experience. Astonishingly, the November, 2017 banding of `Ua`u kani chicks found over 330 chicks and 1,500 burrows. It is safe to say that the number of `Ua`u kani at Hawea Point now numbers between 3,000 and 5,000 individuals. Small efforts pay off in meaningful ways when it comes to healing the `aina. This reality came home to us at Waihe’e and Nu’u this year as we conducted our annual bird count. 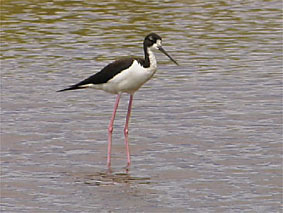 With eight adults, we counted more Ae`o (Hawaiian stilts) this year, than in any previous year since we began our ecological restoration efforts at Nu’u in 2009. The health of the wetland has improved remarkably as the fence around the wetlands prevents feral pigs from creating wallows and preying on the chicks of these endangered waterbirds. Waihe`e was even more impressive. My colleague James Crowe counted not only 14 Ae’o in the Waihe’e wetlands, but for only the second time in 14 years, Northern Pintail, a species once abundant in Waihe’e in the early to mid-20th century (and very likely well before that). Again on Friday, February 9, during one of our frequent public excursions at the Waihe’e Refuge, a flock of 24 Northern Pintail circled overhead and landed in the wetlands. Ola i ka wai; ola i ka `aina malama. There is life in the water; there is life in land well cared for. Our future is tied to the land, whether we choose to admit it or not. The need for clean air and water are obvious. It’s the subtle things, such as the relationships we create with the species we share this planet with, that reveal our culture, and which determine whether we shape an abundant, resilient and sustainable society.